Most of us think of fiber as a substance that cleanses the colon by sweeping out toxins and other impurities. However, there is so much more to dietary fiber than you could imagine. Many of us are not eating the recommended daily fiber intake. Here’s a list of reasons why it is essential to incorporate more high fiber foods into your diet. 1. Fiber supports digestive health. Insoluble fiber adds bulk to your stool and aids with regularity. However, fermentable fibers such as soluble fibers and resistant starches, produce short-chain fatty acids (SCFAs) through fermentation, which have shown to support intestinal barriers, strengthen colonic motor activity and help intestinal mobility. Recent studies suggest that SCFAs have anti-inflammation and anti-cancer actions too. 2. Fiber promotes bowel regularity. Regularity is described as the regular excretion of soft or bulky or easy to pass stools. Insoluble fiber can help improve regularity by enhancing the secretion of mucus while soluble fiber forms a gel, increasing the stool’s water holding capacity. Both types of fiber are necessary to improve regular bowel movement. 3. Fiber helps reduce constipation. Dietary fiber helps manage constipation by adding bulk on your stool. Bulky stools move rapidly through the gut, and this results in an improved regularity. In general, the increase in volume and reduction of transit time appear to be the most widely known benefits of dietary fiber. 4. Fiber helps lower cholesterol. Numerous studies have associated high fiber diet with reduced levels of total cholesterol, LDL – low-density lipoprotein cholesterol and serum lipids. Evidence suggests that people with high fiber consumption have a lower risk of developing coronary heart disease. Furthermore, studies have shown that viscous fiber such as guar gum, psyllium, and beta-glucans blocks the absorption of cholesterol. The viscosity of these fibers traps bile along with its cholesterol and then, excreted in the stool. 5. Fiber promotes insulin sensitivity. For many decades, numerous research has shown that the viscous nature of fiber helps slow down the absorption and release of blood sugar into the bloodstream, and therefore, reducing the glycemic effect of food. Unlike foods containing easily absorbed carbohydrates foods rich in fiber prevents a rapid increase in blood sugar, hence you can enjoy sustained and stable energy supply that could last for hours. Fiber is highly beneficial for people with diabetes as it has been proven to help improve fasting blood glucose, HbA1c, and insulin. 6. Fiber helps improve mineral absorption. Soluble fiber may help increase calcium absorption and other minerals. It is believed that the fermentation process inside the gut reduces intestinal pH, which then promotes mineral solubility. Fermentable fibers could also enhance the absorptive action of the intestinal cells for minerals. 8. Fiber boosts the immune system. A high-fiber diet can help increase the number of good bacteria such as lactobacillus and bifidobacteria, and prevent pathogens from adhering to the gut cell walls. 9. A high-fiber diet may aid in weight loss. Numerous evidence consistently reveals that overweight and obese individuals have low dietary fiber intake compared to lean adults. Consuming more fiber offers many benefits to your current weight problem. It effectively reduces both food consumption and hunger, while the fermentation of soluble fiber increases the production of SCFA which then promotes fat and carbohydrate metabolism. Furthermore, because fiber helps regulate blood sugar level, it can rev up the body’s fat-burning ability and prevent insulin spikes that leave you exhausted and craving for unhealthy foods. 10. Fiber helps improve skin appearance. When fungus and yeast are eliminated through the skin, they can cause acne and other skin issues. Increasing your fiber intake can help get rid of body toxins, and can help improve the skin’s appearance. Beneficial GI is the most advanced formula on the market today for optimal gastrointestinal health. It has been designed to support gut health, soothe the digestive tract lining, promote regularity, microbial balance and support proper immune function. 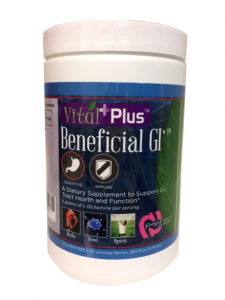 Beneficial GI is available in a convenient, crystalline powder which mixes easily into any beverage or other functional food powder and is free of any ingredient that causes gas and or bloating. I recommend mixing with a glass of water to start your day. 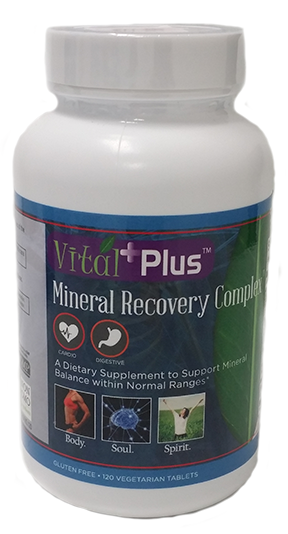 A balanced multiple mineral formula that contains 9 key minerals in easily assimilated forms. 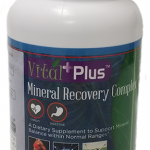 Minerals Support: – Proper composition of body fluids. – Formation of bone and blood – Maintenance of healthy nerve function. Keeping a proper balance of minerals may help deter blood sucking insects from being attracted to your sweat. Take one a day with food or water meal. About Dr. Jenny: Dr. Jenny is a Naturopathic Doctor and clinical research associate. She is a successful entrepreneur as the CEO/Proprietor of AgeVital Pharmacies in Sarasota, Florida. She is a charismatic media personality and television producer with regular appearances on ABC, NBC, TBN, CBS, the CW and up coming show on Lifetime. 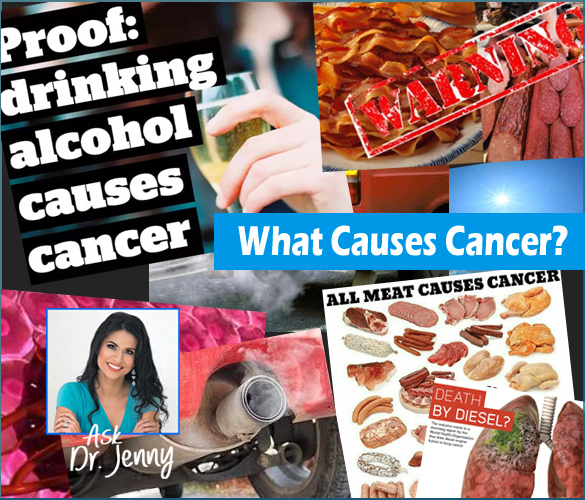 As a health and wellness expert and educator, Dr. Jenny lectures all around the world at various conferences about the endocannabinoid system and functional integrative healthcare and how natural solutions work to treat a multitude of disease and illness. She is currently authoring books about the endocannabinoid system for healthcare practitioners and consumers. She is the President and Chairman of The American Academy of the Endocannabinoid System (AAECS) and sits on the Executive Board of Directors for the American Board of Medical Marijuana Physicians (ABMMP). Her expansive credentials include a Board Certification at The American Board of Anti-Aging Health Practitioners – (ABAAHP), a Diplomate of the AAIM College of Nutrition and a Board Certification with the (AAIM) Board of Integrative Medicine. Dr. Jenny is also a member of the American Academy Of Anti-Aging Medicine, serves as a senior business and financial advisor for Nuvusio and the medical director for Biom-Pharmaceuticals and Chief Scientific Officer And Medical Director for M3.